Summer camp was one of the most formative parts of any childhood. I came home with a love of pure-sugar bug juice and aggressive inline skating (it didn’t last). My older brother came home with a new girlfriend (it didn’t last) who was really, really into her horse (I think it did last, but I don’t know how long those things live, so maybe not). The nostalgia associated with the camp experience is universal enough to inspire a whole genre of TV and film. And now, that influence has even found its way into the LA restaurant scene. 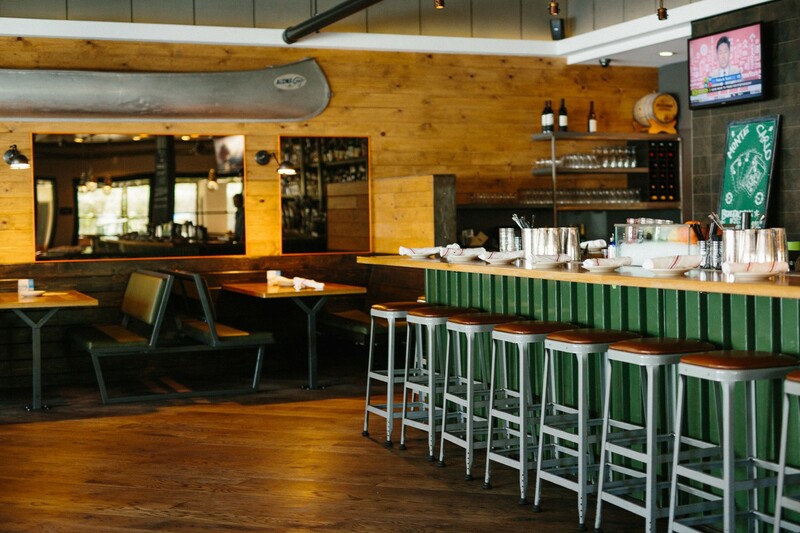 Messhall Kitchen has all the touchstones of the camp experience: an all wood, cabin-like décor, a menu full of comfort foods, and their logo, a tree, can be found everywhere down to the plates. It also has all the touchstones of a damn good restaurant. The layout is spacious, giving every group a feeling of privacy in what is generally a crowded affair. The menu is full of childhood favorites, from mac n cheese to ribs. I wouldn’t call their versions of these dishes elevated as much as I’d call them just freaking perfect. Nothing is deconstructed or even all that unexpected. They’re just done wonderfully, with some serious attention to detail. And equally important to the cause: it’s all done with the right amount of subtlety. There’s nothing worse than a “theme” restaurant, as everyone who values their image over enjoying life would agree. Messhall is careful to infuse your experience with the right amount of class, allowing it to invoke that nostalgia, but without smacking you over the head with it. Sweet and smoky. A great app, but a bit too much sweetness to make a meal of them. The best appetizer on the menu. Made with a sharp white Vermont Cheddar encased in shells. These are little bombs of goodness. Sure, at camp these would be the thing most likely to still be on your plate at the end of a meal. But with their perfect char and some added bacon, I’d bet even a kid might be able to give these a try. The absolute lightest poutine I’ve ever tasted. The short ribs are so light and airy that they almost make you forget about the cheese and fries and gravy. How is that even possible? This dish is the standout of their hardwood grilled menu. A bit of a sweeter sauce than is generally our favorite, but the smoke from the wood gives it a nice contrast.